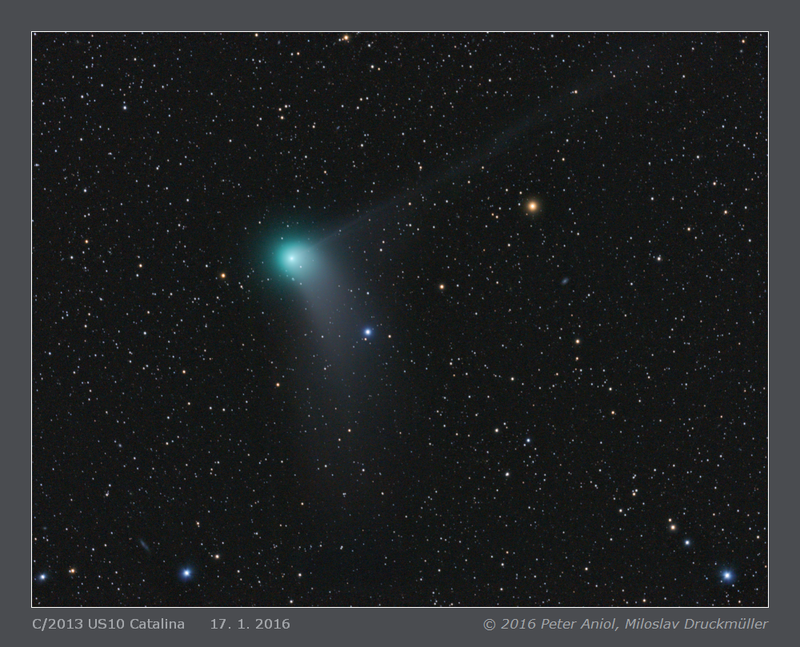 This image of the comet C/2013 US10 Catalina was acquired during the night in which the comet was approaching the nearest point of its trajectory relative to the Earth. 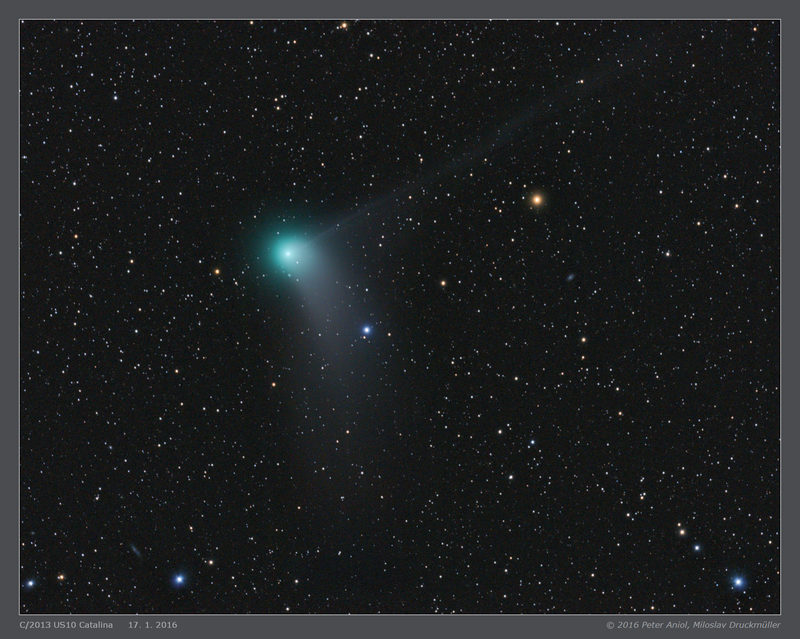 The comet was 0.725 AU far from the Earth and 1.385 AU far from the Sun. It was moving very fast in the sky (6.74"/min). Click on the image or on the following reference to display the higher resolution image version (3.4 MB, PNG format).